Home to middle- and upper-middle class families with affluent pockets, Noranda is an ideal place for doing business. While it already has a major shopping centre, the Noranda Shopping Village, along with numerous local establishments, the opportunities for new business ventures never run out. 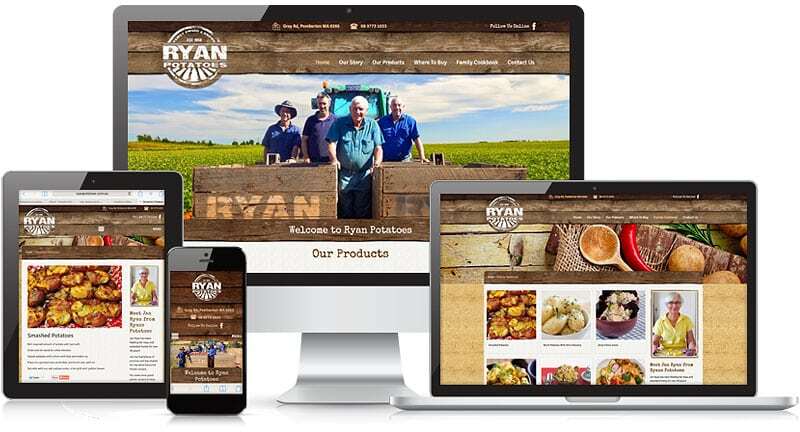 Whether you are planning to set up shop in the lovely suburb of Noranda or you already have one up and running, a good way to make your product or service known by both locals and tourists is by building a website. This is where our expertise comes in handy! Lethal Graphics is a leading digital agency, catering to a diverse clientele in and around Perth. We have everything you need to advertise and market your business online! When we say custom, we mean a website tailored to your business’ unique qualities and offerings – not just a pretty website built with a customisable theme. At Lethal Graphics, we involve our clients from start to completion of their project. We give them full control over the look and feel of their website, whilst providing expert advice to guide them in choosing a design that delivers results. Trends in website design are continuously evolving. Long gone are the days when the best websites are those with animated graphics and overly decorated pages. Today the best websites are minimalist, load fast and make it easy for visitors to find the information they are looking for. Whether your website is ‘stuck in the past’ or you don’t already have one, Lethal Graphics can help you build the ultimate website that caters to modern users. Our up-to-date knowledge of industry trends enables us to guide the design process to ensure we deliver high-performing websites that suit dynamic user expectations and needs. Lethal Graphics specialises in web design and development, but we also provide digital solutions that will help your website gain traffic, generate clicks and gain a solid reputation online! With our in-house team of SEO experts, content writers and digital marketers, we have all the help you need to achieve success online – all under one roof! This also means you don’t have to look for a reliable agency who can deliver all your internet marketing needs. We already got you covered! Supercharge your online efforts with Perth’s leading digital agency! Lethal Graphics is just one call away.